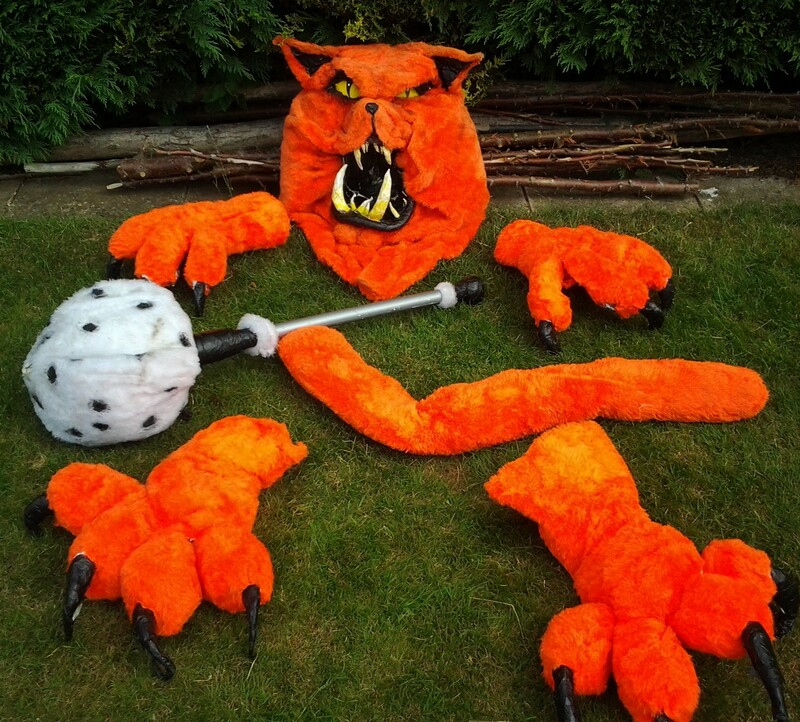 Here is one of the best props I have ever made – a large costume of a fat-cat. The costume is available for hire. I would also be glad to sell it to a charity that would use it and allow other groups to borrow / hire it. The head fits neatly on your shoulders allowing the wearer to see through the mouth. 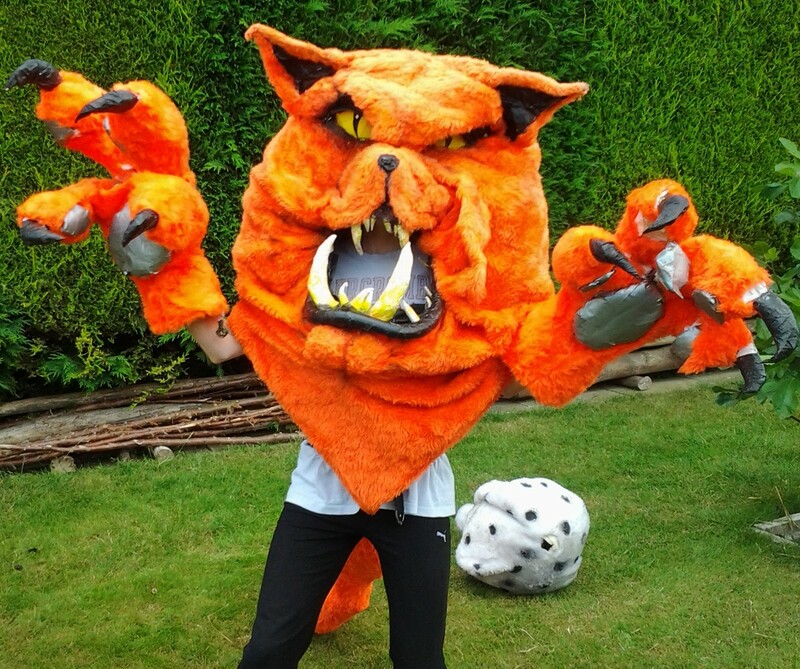 The outer skin is covered with a plush orange fake-fur. The inside shell is mostly paper-mache strengthened with a bit of galvanised wire. The teeth and ears bend to new positions. 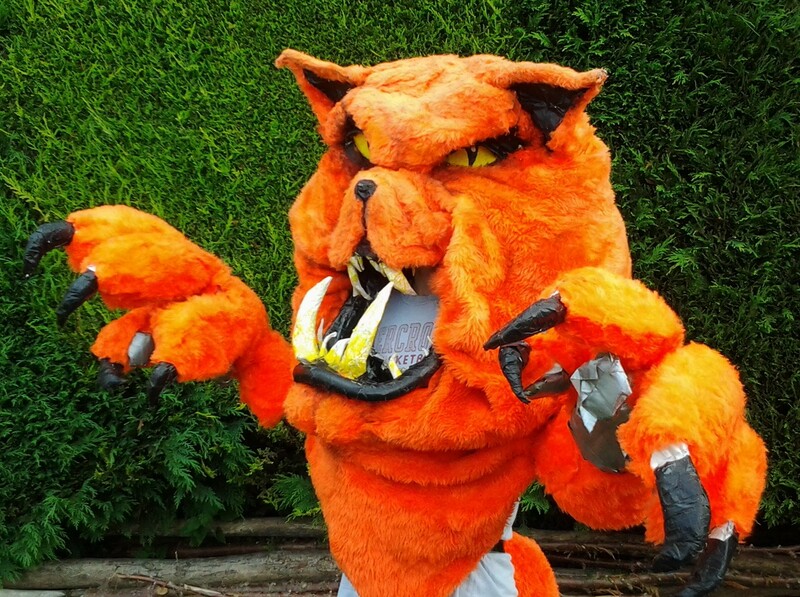 The two hands and two feet are very light, built in a similar way with a wire frame, paper-mache skin and an orange fake-fur coat. 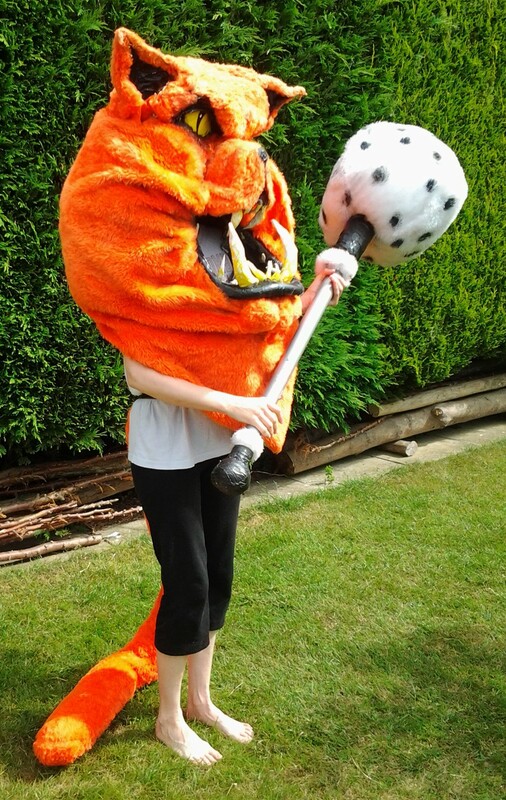 The costume also has a long orange tail, and a regal sceptre. The “Fatcat” has been used many times to represent the 1%, the CEOs and directors of large companies who have got richer and richer over the last few decades while everyone else is getting poorer. In other cultures pigs, vultures and pigs are sometimes used in similar ways. 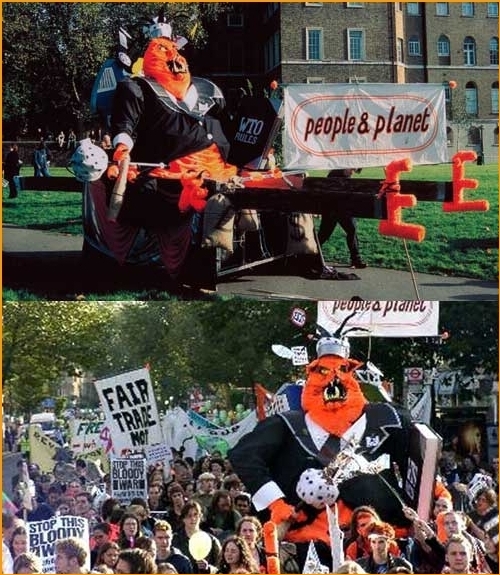 This costume was made in 2001 for the UK campaigning organisation, People & Planet. 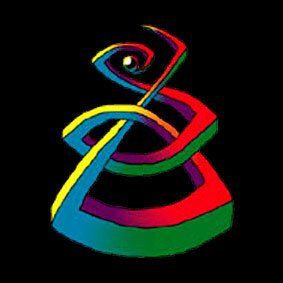 It was used for the first time in their float during the carnival launch of the Trade Justice Movement. Photos below. If you have any questions about this costume please contact me using the form on the ABOUT page. Thanks.